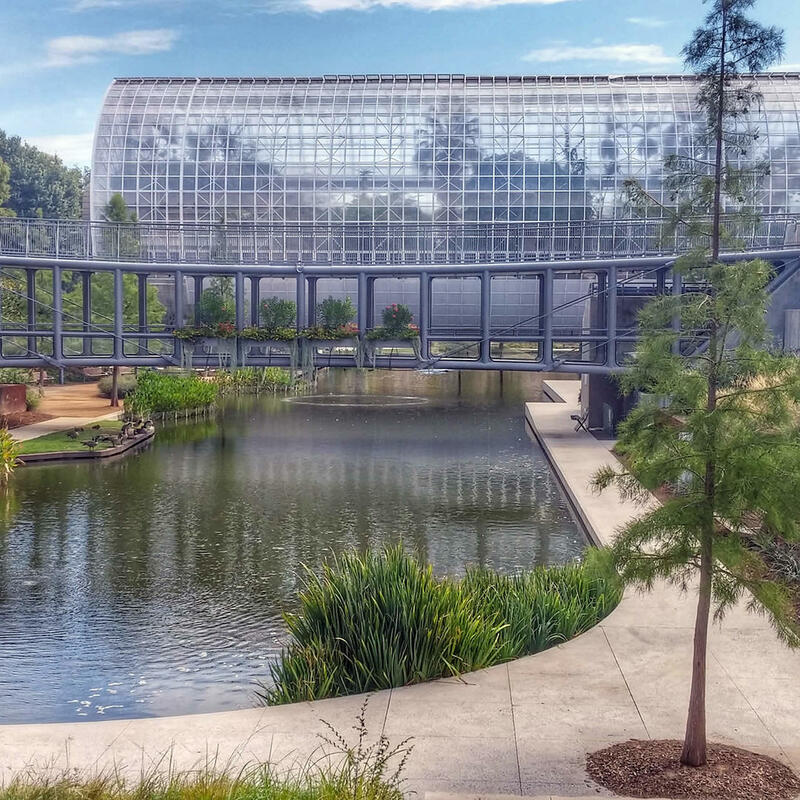 In the lavish Myriad Gardens a translucent bridge serves as a greenhouse for thousands of tropical plant species. Called the Crystal Bridge, it is a 224-foot long and 70-foot wide span made of thick acrylic panels. The gardens are a family-friendly place and even Spot can tag along to romp around in the off-leash dog park.